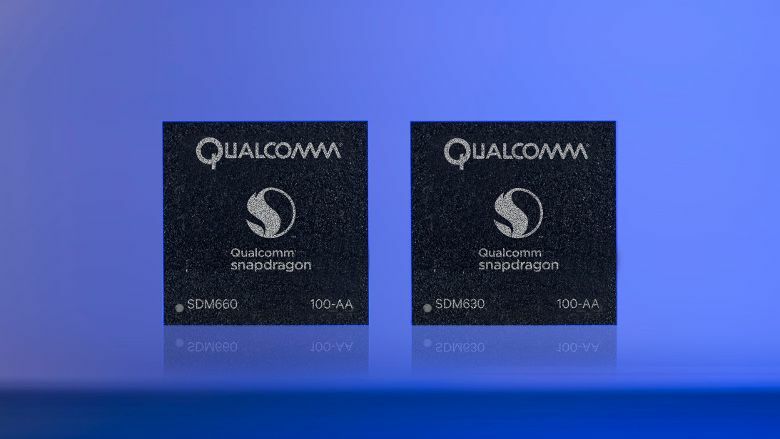 Progress can’t be slowed down by SD835 mass production troubles or silent Quick Charge 4 delays, with work on the next-gen 845 reportedly underway already, and the Snapdragon 660 and 630 officially unveiled and fully detailed earlier today. As the direct successors of the powerful Snapdragon 653 and 626 found inside Samsung’s Galaxy C9 Pro and C7 Pro respectively, you can probably imagine these bad boys are no pushovers. In fact, they borrow quite a few super-advanced features and technologies from the 820 family, including a Snapdragon X12 LTE modem supporting up to 600 Mbps theoretical download speeds. The “affordable” Qualcomm Snapdragon 660 and 630 SoCs even manage to match the Bluetooth 5 and Quick Charge 4 capabilities of the 835 powering Samsung’s Galaxy S8, technically handling up to 8GB RAM. Back to real-world skills and palpable upgrades over their predecessors, we should mention both new chips integrate 4K video capture and playback, with the octa-core Kryo 260 CPU of the SD660 touting a 20 percent improvement in performance compared to the SD653, while the SD630’s Cortex A53 CPU only pulls off a 10 percent enhancement over the 625. But the Adreno 512 and 508 GPUs provided as 510 and 506 replacements bump up graphics operation by a healthy 30 percent, and both the Snapdragon 630 and 660 are based on frugal 14nm architecture. They also share machine learning prowess and biometric support for everything from fingerprint to iris to facial recognition. Last but not least, the higher-end model can work with up to 16 + 16MP dual cameras, while the SD630 accommodates 13 + 13MP sensors. Alas, there’s no word on what phones or tablets will pack these “high quality” processors, though we should find out from OEMs soon enough.